So close to finished. It won’t take much more than one more session to finish filling all the detail. Once it is complete, it can join all the other draws on this theme, mocking one of this planets mega fauna predators for its short arms. 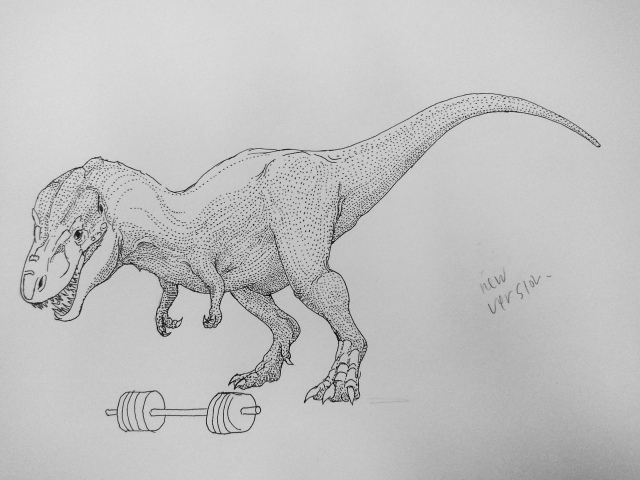 This entry was posted in Quick Desksketch and tagged deadlift, deadlifting, Dinosaur, tyrannosaur by Anthony. Bookmark the permalink.